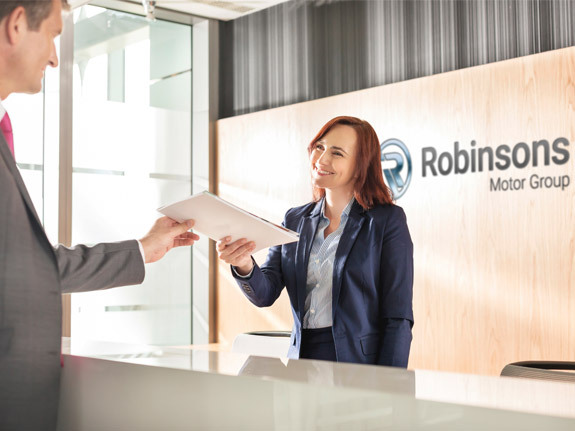 At Robinsons Citroën we are committed to offering the very best customer service whether you are looking for quality new and used Citroën cars or manufacturer-approved aftersales. Serving Peterborough and the wider area of Cambridge. Our fantastic range of offers on both new and used Citroën cars ensure you can always find what you are looking for whether it's the compact and agile C1 city car, a fuel efficient C3 or a spacious C4 Spacetourer. If you are looking for a used Citroën, we carry a large stock of quality used cars all offering a 12 month Citroën-backed warranty. Our reputation for quality and reliability goes beyond the cars we sell; it's also synonymous with the quality of our aftersales. We are committed to providing the best customer service possible when looking after your Citroën. Whether it's a service, MOT, maintenance or repair work, our experienced technicians at our manufacturer-approved workshops are committed to providing an honest, reliable and affordable service along with a wide range of parts and accessories. At Robinsons Citroën, we are committed to providing the best service possible and seek to exceed our customers expectations. Our friendly and helpful staff will take time to listen to you and discuss your needs, and they'll happily go the extra mile to ensure that you are more than happy with your experience with us, whether you're looking to purchase a new or used Citroën or service your existing vehicle.